Today is World Audio Drama Day, an annual holiday that takes place every year on October 30th. It is a day to share this amazing medium that we love with someone who may not know about it and also just sit back and enjoy some great audio drama ourselves. The October 30th date was selected for World Audio Drama Day because it is the anniversary of Orson Welles legendary War of the Worlds broadcast. First broadcast in 1938 as part of Welles' Mercury Theatre, this show is one of the most well-known radio plays of all time. You can listen to this classic radio show by clicking here. 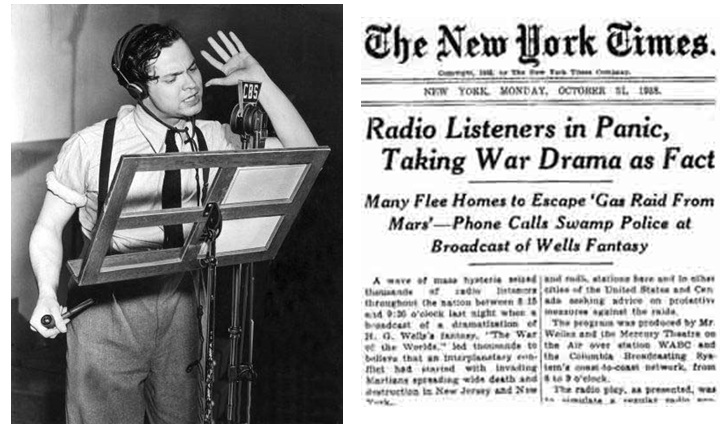 Click this link for an in-depth look at Welles' War of the Worlds broadcast.